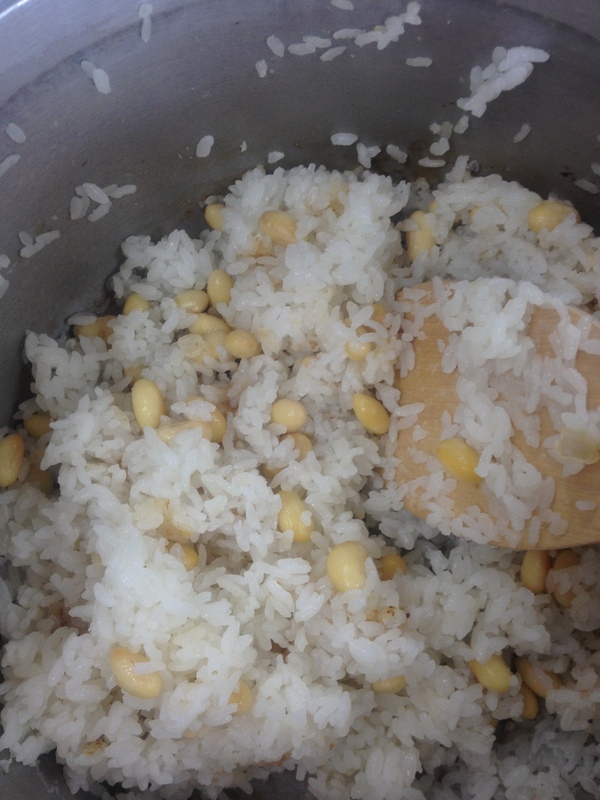 ① Rinse the soy beans and then soak them in water for at least 6 hours. Rinse the rice and let it soak for at least 1 hour. ② Drain the rice and beans. Then transfer them, together with the water, salt, and sesame oil, to a thick-walled pot. Make sure the contents are level on top. ③ Cover the pot and use high heat to bring the contents to a boil. Once the contents are boiling, reduce to low heat for 15 minutes. At the 15 minute mark, turn off the heat and let the pot sit as is for another 10 minutes.